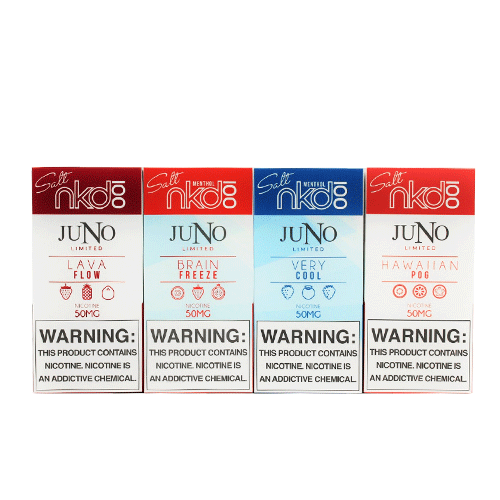 Juno Naked100 Pods available! Your favorite Naked100 Flavors all in pod and salt-nics! Fits only for the Juno Device (sold separately) Each pack contains 4 pre-filled flavors to choose from. All in 50mg Salt Nicotine.